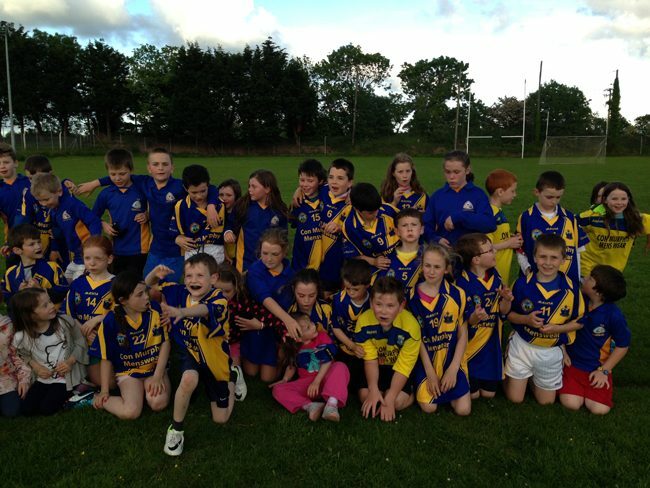 Con Murphys are proud to sponsor Gleann na Laoi Gaa Club. 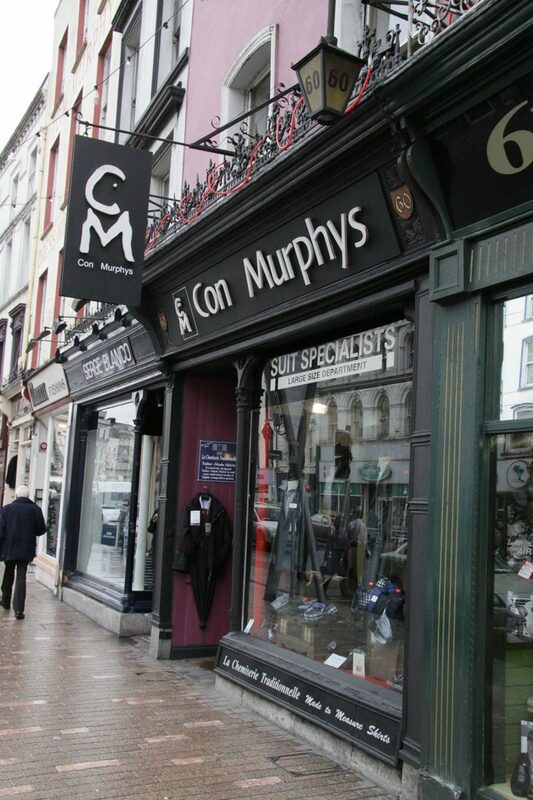 Cork City is one of the best shopping locations in Europe. 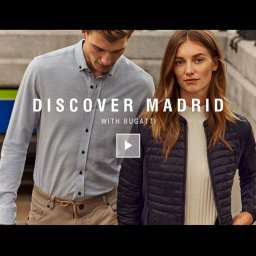 You can choose from a huge variety of shops, where you will find all major brands stocked in a variety of different stores. 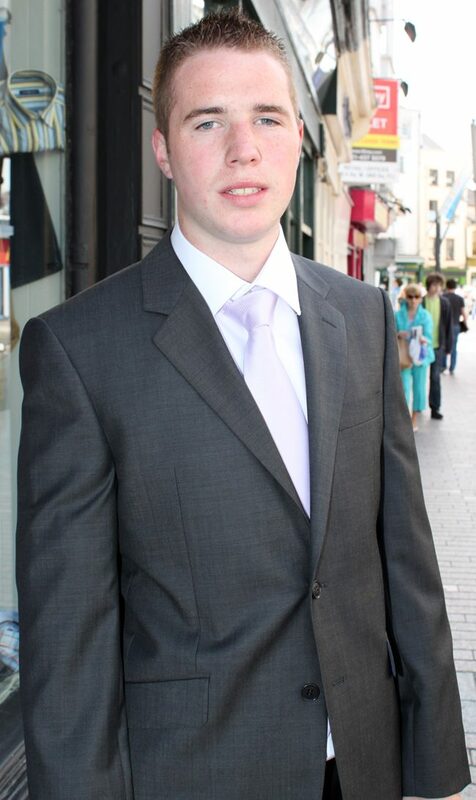 The beauty about Cork City Centre is that it is so compact. 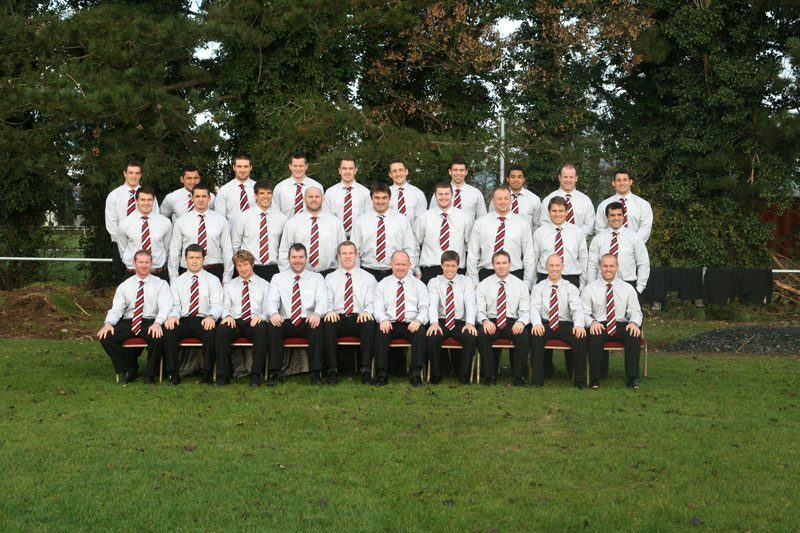 Con Murphys were honoured to Dress the Cork Senior and Minor Football Squads for the All Irelands in 2010. 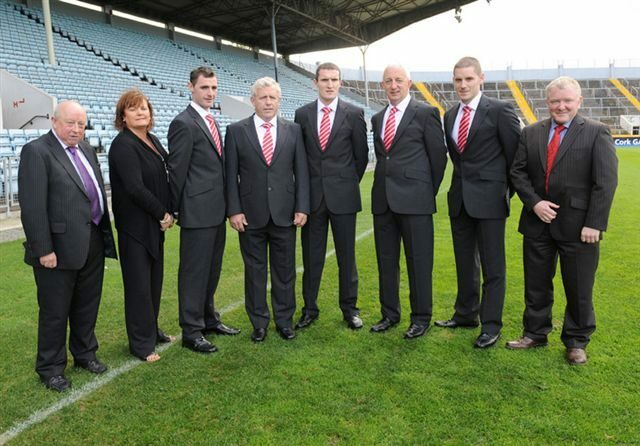 The panel and the County Board were measured in Pairc Ui Chaoimh. 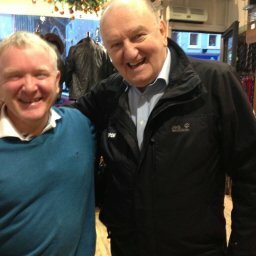 The photo shows Donal Walsh from Con Murphys, Catherine Tiernan from O2 (Sponsors), Donacha O’Connor, Jerry O’Sullivan (County Board Chairman) Graham Canty (Captain), Conor Counihan (Coach), Daniel Goulding, and Neil Murphy from Con Murphys. 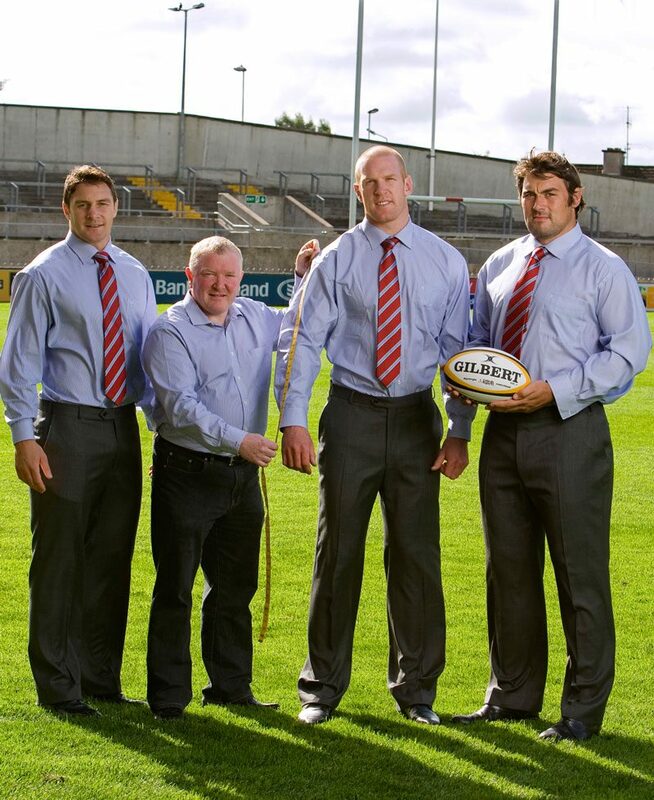 Munster Rugby players David Wallace, Paul O’Connell and Tony Buckley being measured by Neil Murphy of Con Murphys for their Heineken Cup outfits at Thomond Park in 2009. 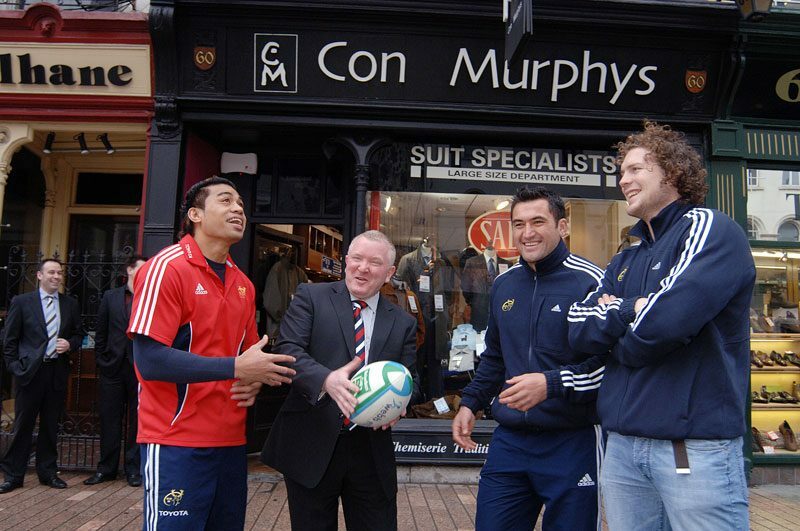 From 2006 to 2010, Con Murphys were delighted to dress Munster Rugby for their Heineken Cup campaigns. 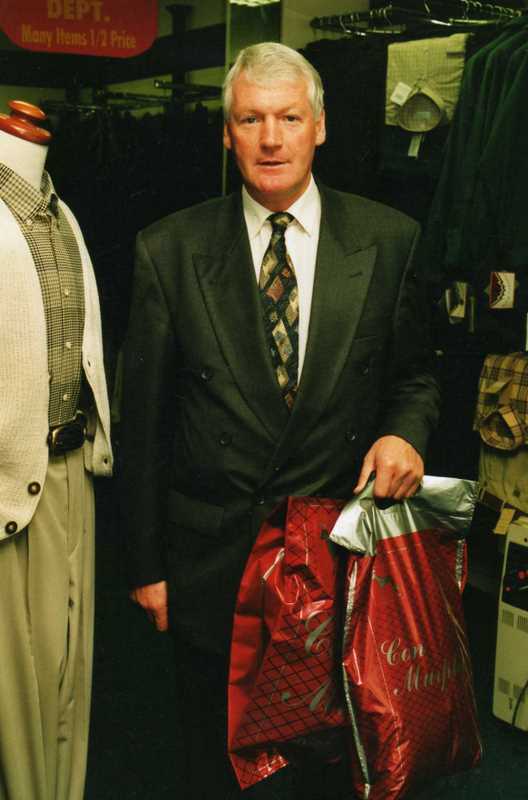 It was certainly a challenge to fit everyone, with all the different shapes and sizes, but our experience helped us enormously and even though we didn’t take any credit for the 2 Heineken cup victories, we took great pleasure in helping Munster become the best dressed Club in the Europe!